Are Electric Garage Doors The Perfect Purchase? Home » Are Electric Garage Doors The Perfect Purchase? There are so many amazing garage doors available, but do any of them still compare to going electric? 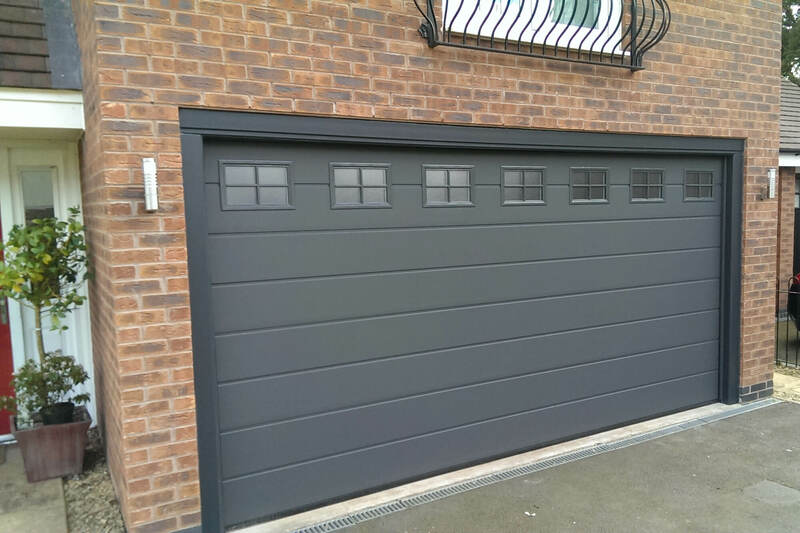 Read our blog and discover all the perks of using electric garage doors and why this could be the best option for your home! 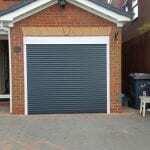 LT Garage Doors provide a huge range of electric garage doors to homes throughout the Staffordshire area. For advice on which stylish designs and types of doors are best for you, we are the perfect team to call. Although electric doors can be much easier to use, the security of the door does not depend on whether the garage door is electric. Whether you purchase an electric or standard door, you must always ensure that the security of the door panel is at the highest standard to avoid any break-ins to the garage. One security benefit of the electric garage door is that there is no handle. If there is no handle it means no one can manage to break in by breaking the handle; they will always have to go through the door. This means a break-in is much less likely as only you, with the remote control, will be able to open the garage door. Although garage doors are not usually seen as a danger, you still want to ensure they are completely safe for use and that the storage you keep inside your garage is also not at risk of being damaged. With our made to measure garage doors, there is very little chance of a break and with every purchase, we also have a five-year manufacturers guarantee and six month guarantee of controls. Additionally, our doors come with a rubber bottom seal that stops water and dirt from getting underneath the garage door and into your goods. Nobody wants their property to get wet and ruined, so electric garage doors are the perfect solution if you want to store valuable things in your garage. There are even more features that make electric garage doors a great option to buy. With a safety brake and edge feature, there is never a risk of the garage door coming down on either a car or someone’s head – danger free! A huge positive of electric doors is that it is easily accessible for absolutely everyone. Whether you are elderly or disabled, electric garage doors is the best option for your home, allowing you to easily open the door. With other types of garage doors, this accessibility is not possible and for those who will struggle to both bend down and then lift the garage door, this can be an issue. With a remote control, you can let these worries disappear into a thin air as your garage door will smoothly open vertically, allowing you to access it whenever you want. NRG motors also mean that during a power cut, the door is still able to open manually. The last thing you want for your garage door is a shoddy looking, poorly pieced together garage doors – we ensure electric doors are just as stylish as you want them to be. There are several features that make electric doors the best for your garage, however with every garage door you purchase, LT Garage Doors have an extensive range of styles to choose from. We have a choice of 20 separate powder coated colour finishes including 4 woodgrain finishes on our bespoke doors. With all our doors being personal to each property, you have a selection to pick from when finding your electric garage door. Electric garage doors provide you with complete safety and security, whilst being accessible to people of all ages. 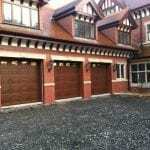 Electric garage doors could be the perfect purchase for your property! Find out more about why you should install electric garage doors or discover the range of products that LT Garage doors can provide for your home. Call us today on 01782 533 552 for more information. Very informative blogs thats happening to much. thanks for sharing useful knowledge with us.